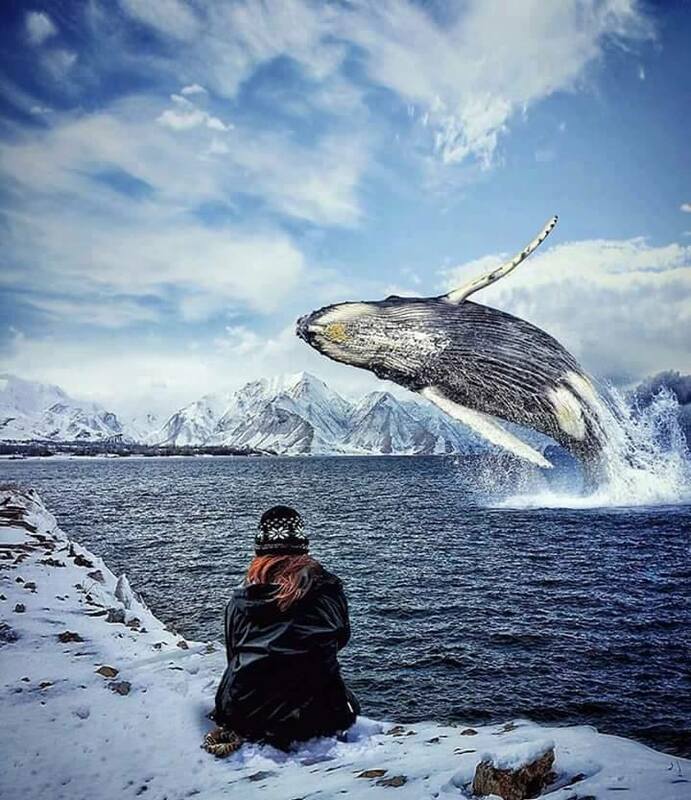 Claim: this is a “perfect shot” of a person watching a whale jump. The image has been photoshopped. The whale has been copied from this stock photo.